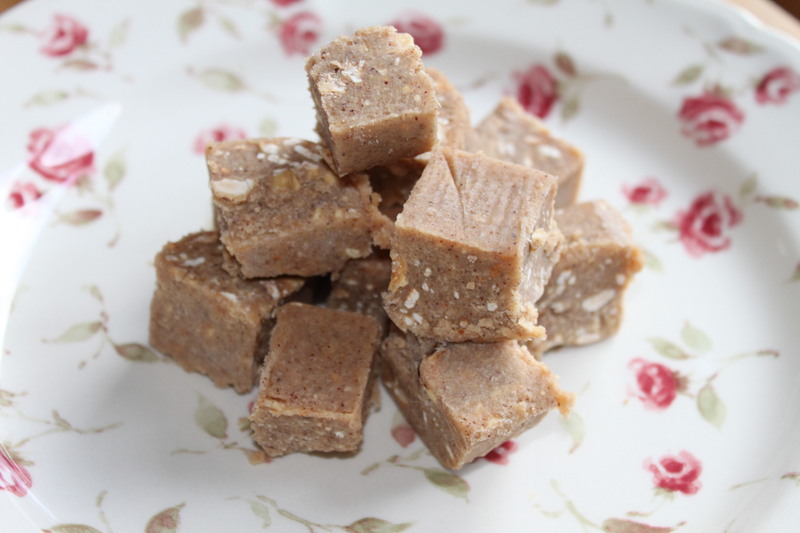 This ‘fudge’ is my favourite sweet treat at the moment. My Dad seemed to really like it which surprised me as he’s got a big sweet tooth. I haven’t got a huge sweet tooth but sometimes after an evening meal I feel like something sweet to finish it off and a piece of this fudge does the job. I’ve called it a fudge although I’m fully aware this is not how traditionally would taste but it’s very similar and every other name I considered calling it was too long. This is easy to make and stores well in the freezer. You’d think that because it’s stored in the freezer, you’d need to take it out to get to room temperature before you ate it in case you broke your teeth but you don’t need to! You can eat it straight from the freezer….who knew?! 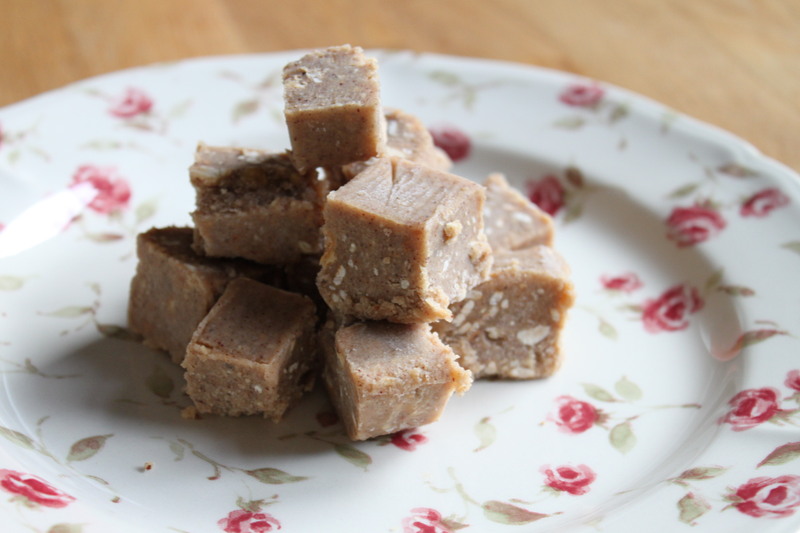 It is slightly harder than traditional fudge but easy enough to bite into. Lightly oil a small dish – I use a ceramic dish which is 13cm x 16cm and is about 5cm deep. If you use a slightly larger dish you’ll just get thinner pieces of fudge. Once you’ve oiled the dish line it with lightly oiled cling film and put to one side. In a small pan over a low to medium heat, melt the coconut butter, hazelnut butter and coconut oil together until there are no more lumps. Next add the maple syrup and vanilla extract giving everything a good stir. Remove the pan from the heat and stir in the chopped hazelnuts. Pour the mixture into the oiled dish, cover and place in the freezer until set, about 2 hours. 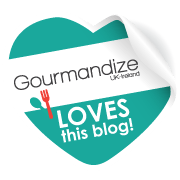 Once the mixture has set, place the bottom of the dish in hot water (don’t let it sit in the hot water too long as your fudge will melt) and then turn the fudge on to a chopping board and chop in to small squares. Place the fudge squares in an airtight container and back in the freezer until you’re ready to eat. I always test a square or 2 at this point!